I am the chair of the local Haiti Initiative in Swansboro, NC. As part of partner efforts to help Haiti, we have 4 NC missionaries who are in Port Au Prince now. They left from RDU (Raleigh, NC) on Monday before the earthquake. Fortunately, I heard from their leader the night of the earthquake. They are all alive, but they need help urgently. Below is an excerpt from Helen Little, a 77 year old veteran missionary who has traveled to Haiti 42 times, and is currently in country and also leads our local teams into Haiti. An excerpt of live correspondence from our very own Mission to Haiti workers in Port-Au-Prince. This is a message received January 12 and 13. >From H.Little: WE ARE ALL ALRIGHT. >MANY HAITIANS ARE CRITICAL OR DEAD. >WE KNOW 5 HAVE DIED HERE AT THE BASE CAMP. >COMMUNITY OF TI GOAVE HAS EXPERIENCED EXTENSIVE DAMAGE CURRENTLY 10 HAVE DIED IN THAT VILLAGE. PLEASE HELP US IMMEDIATELY. >From L. Mitchell (another missionary): SAFE IN HAITI FROM EARTHQUAKE, DID HEAR FROM THE ORPHANAGE. CHILDREN ARE SAFE, BUT TOTAL DEVASTATION TO ORPHANAGE. KIDS MAY COME TO BASE CAMP WED JANUARY 13TH. NO NEWS FROM NEW ORPHANAGE SITE. MEDICAL TRIAGE AT BASE CAMP- SAW 70 PATIENTS, 5 CHILDREN DIED.RAN OUT OF MEDICAL SUPPLIES. SLEEPING OUTSIDE ON THE GROUND. WE STILL HAVE ELECTRICITY DUE TO OUR OWN GENERATOR. AND RUNNING WATER. Offering immediate help is incredibly important. Whomever you donate to, make sure they have ESTABLISHED infrastructure and means for purchasing and delivering supplies in Haiti already. It is also especially important to act locally to support immediate needs of North Carolinians who are in country now on medical missions. Please choose your charity carefully. Swansboro United Methodist Church (memo line: UMCOR/Haiti Earthquake) and locally drop to the church in Swansboro, NC. UMCOR has well established aid efforts set up in Haiti now. Please keep the head of UMCOR in your prayers, Dr. Sam Dixon, as he is still among the missing in Haiti. There is a private plane with a 1200# payload which will leave from Clayton, NC on Friday. Horne Memorial in Clayton is collecting supplies and has arranged for a private flight to leave for Haiti on Thursday morning. Medical supplies are the immediate need on this flight. Clothing is not need at this time. Carolina Graphic Printing at 501 Atkinson Street, Clayton. Volunteers are also needed to work with the supplies. Supplies can also be delivered to MERCI, the conference disaster relief warehouse at 676 Community Drive in Goldsboro. Supplies to Horne that do not get on the flight to Haiti will be taken to MERCI for shipment. Thank you for your help and assistance to save lives in Haiti. 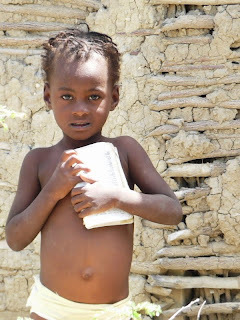 Now, more than ever, a strong Haiti Initiative Service is needed.